I'm writing this on Monday night, still scratching away at those mosquito bites from Saturday morning - my last day in Florida. Right up until the last morning I'd got away without a single bite, but heading out early on into the mangroves in shorts and a t-shirt was a mistake in one respect. 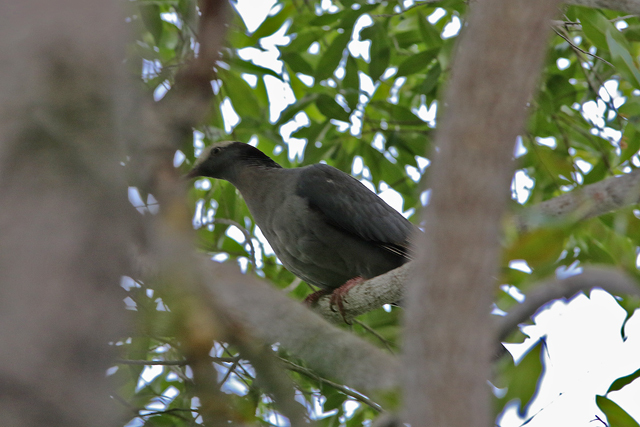 However, the birding compensated with my final real target for the trip seen easily - White-crowned Pigeon. 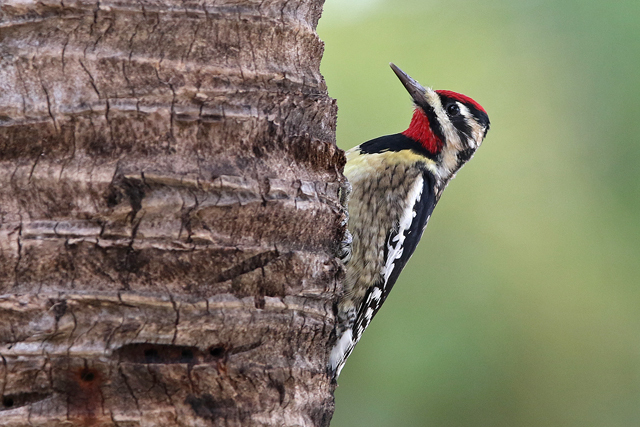 Half a dozen of these pretty timid birds went crashing through the vegetation as I walked about Dagny Johnson Hammock State Park on Key Largo early morning. There were a few Blue-grey Gnatcatchers about too as well as the odd White-eyed Vireo and a fair number of Grey Catbirds. Then all of a sudden there was that five minutes that flew by - it was like being back on High Island! Well, not really but it was good for mid-February in Florida. 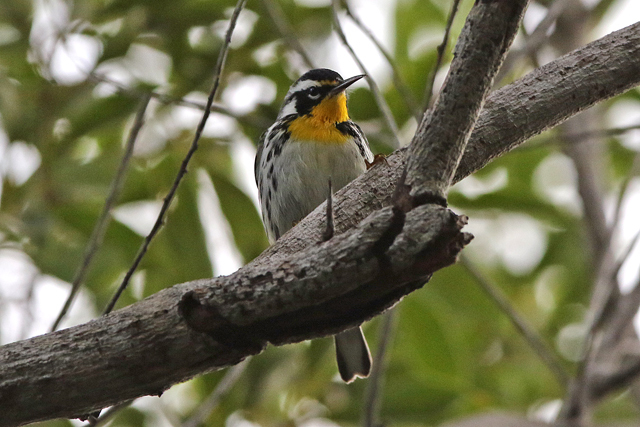 Firstly, there was an Ovenbird bobbing about in the leaf litter, and then a couple of 'wood warbler calls' focused my eyes up to firstly a Worm-eating Warbler (a nice surprise), then a cracking Yellow-throated Warbler before a Yellow-throated Vireo appeared. All quality species that were on the margins of being expected on this trip. Back at where we were staying on Tavernier, the Atlantic Bay Resort, a Killdeer landed briefly in front of me calling as it did so while a male Yellow-bellied Sapsucker enjoyed the local palm trees. 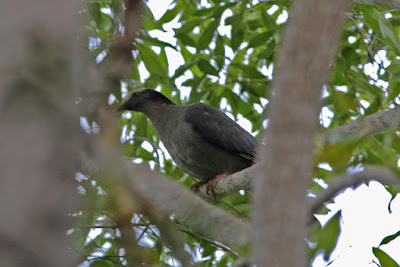 After pulling into the petrol station in Florida City and seeing three Common Mynas, time was running out and so Miami's oriole, bulbul and assortment of parrots will have to wait til I return at some stage in the future (probably for Black-whiskered Vireo and reacquainting with Grey Kingbird and Mangrove Cuckoo). Anyway, for a non-birding holiday, I managed to see a fair few birds and had a nice time doing so. Back to the greyness of Britain and the manicness that is work. 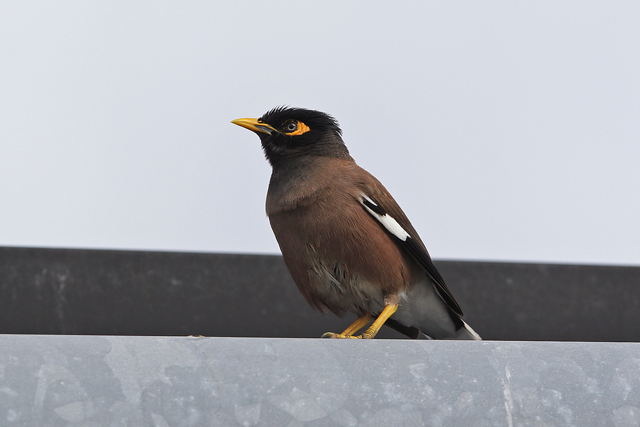 We have those Myna birds in our garden - an introduced species that is considered a bit of a pest. Unfortunately, Australia does not have a single woodpecker - I miss them! I wonder if you would be interested in link your bird post up with Wild Bird Wednesday - a bird blog link up that runs from Wednesdays (!) to Sundays on my photo-blog, About 50 bird bloggers from around the world join in and it would be great to have more UK content (with occasional trips over the Atlantic being OK too!) Whole thing will take you about 30 seconds!